Q: Did you expect a bit more from today? KR: Yes, but I think today’s performance reflects our speed in these conditions. It was a close qualifying session between both of the team’s cars so I think we both got pretty much all there was from the car today. It’s not ideal as we’d like to be nearer the front of the grid, but it is what it is..
Q: How do you feel about the tyres this weekend? KR: They’re not so much of a problem here; the car doesn’t behave too badly. We don’t lack pace because of the tyres, we just don’t have enough downforce and if you don’t have the downforce you won’t go faster. The car’s not a disaster in any one place; we just need a little more pace overall. Q: How is the Device working? Q: What is possible in the race? KR: Usually we go better in the race and hopefully that is the case again tomorrow. Obviously, some of the cars ahead have been too fast for us so far this weekend, but the weather should be hotter tomorrow so let’s hope we can pick up some places. So did I but I guess it helps in the decision making. But I hope he brings Mark Slade with him as he need him as a buffer. With these kind of quali its obvious that Lotus won’t be able to retain Kimi, behind Ricciardo, Sutil, Di Resta, sooo frustrating. For sure the car will be more competitive in the race but Kimi might not be able to show it, he’ll be stuck behind these cars n i dn’t think he gets the straight line speed to quickly overtake. I’m very hopeful but i think we are ahead of another disastrous wknd for the Iceman. 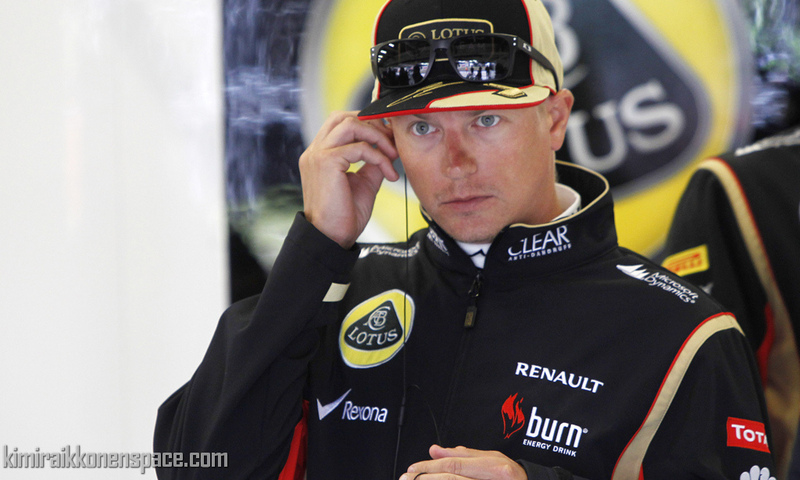 It will be no surprise if Kimi is down to some 20s after 9-10 laps. I hope the strategy is aggressive not trying to do the same 1-less pitstop than others, only a very good start can save Kimi, its hasn’t been the case recently. Can’t believe the quali was that bad, i thought Kimi wasn’t showing voluntarily performance in FP2 n FP3 since he wasn’t anxious after fridays’ session but…. The fact that Mercedes lock up the front row is not a bad thing, their pace shouldn’t be phenomenal after 5 laps n that should slow the field n reduce Kimi’s gap to the leaders. What a lap from Lewis.